Leg defenses against kicks. Here we see a stop kick against a regular kick to the groin. Attacker steps and makes a kick to your groin area. From a general ready stance or semi, raise your front leg while turning your body sideways. Leg defenses against kicks. Here we see a stop kick against a regular kick to the groin. Attacker steps and makes a kick to your groin area. 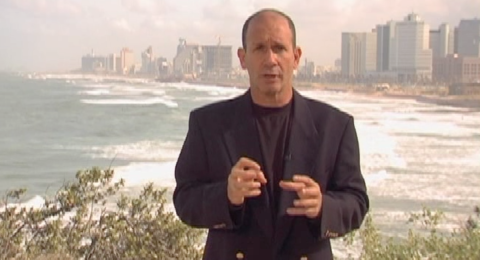 From a general ready stance or semi, raise your front leg while turning your body sideways. 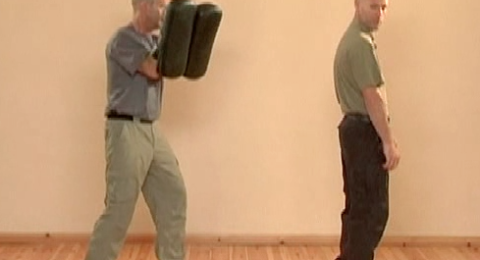 Send your foot in a horizontal manner to block the attacker’s leg. You should stop him hitting his shin. However, you do direct your stop kick above his knee level when he’s standing before kicking. 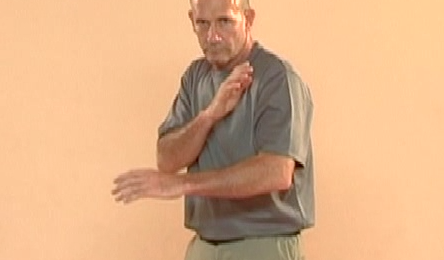 If needed, you can do the technique with a light retreat. 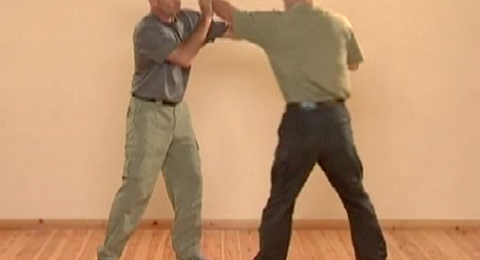 Follow the stop kick lending the other leg forward and counterattack with the hands as soon as possible. Finish the situation by moving away or going to the next mission you need to do. 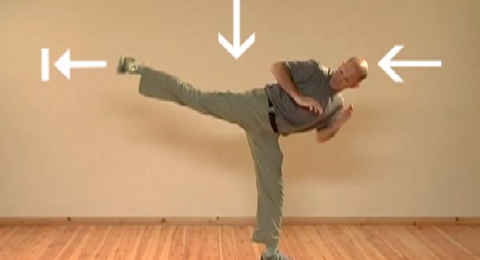 Stop kick with a back leg. 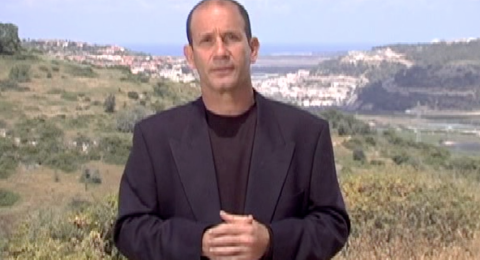 Starting from a ready stance, the attacker is stepping and kicks towards your groin area. Here too we have a stomping action towards the attacker’s shin, towards the attacker’s leg. You should aim your kick above his knee level when he’s standing with two legs on the ground. 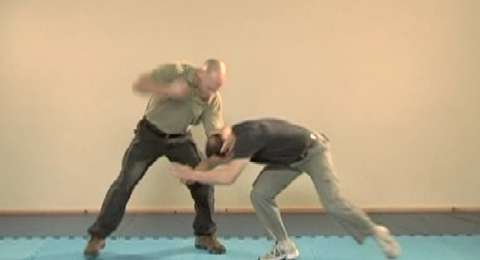 When the attackers kicks, usually you will hit his shin a bit below the knee. Your foot is horizontal to gain maximum width for the defense. The defending leg should lend a little bit forward and then the base leg should advance in front of it. A block with a shin against a roundhouse kick towards the leg or the hip level. 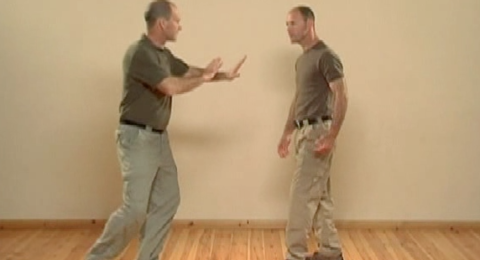 From ready or passive stance, raise your shin to meet the attacker’s shin. The front of your shin the bony part will meet the attacker’s shin. Start by raising the knee and raising the hands also. Be ready to counterattack as soon as you can. Push with the ball of the foot in order to gain maximum speed in raising your leg. However, while meeting the attacker’s leg, your foot should be horizontal. This to avoid the attacking leg from sliding to your base leg. Depends on your angle, your first counterattack maybe with the same hand as the defending leg or the other hand. Block and try to land forward as soon as possible. If you don’t land forward, then you can continue with counterattacks with kicks. Depends on the angle where the attacker is coming from you may need to defend with your front leg against both legs of the attacker. Meaning, the attacker may kick you with a front or his back leg left or right and you will defend only with your front leg. 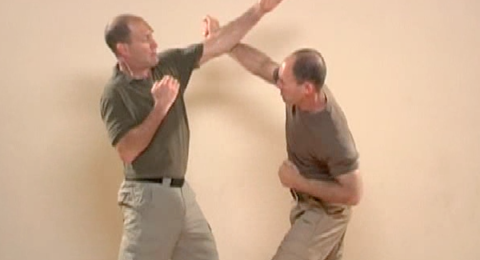 In all cases you are directing the shin the bony part against the attacker’s shin. 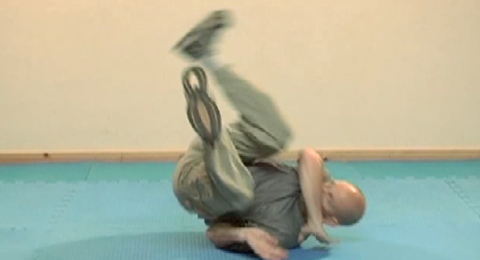 Double defense with the shin and the forearm against the roundhouse sent at an unknown height. Raise your shin to block the low roundhouse the usual manner at the same time send your forearm fleshy part, clenched fist towards the outside in a slanted way in an angle to block a roundhouse kick that may be sent towards your head. There should be no gap for the kick to penetrate between the knee and the elbow of the defending limbs.